Hey, I know, it's been a while. This is just a tiny post to let you know that the hiatus is ending. 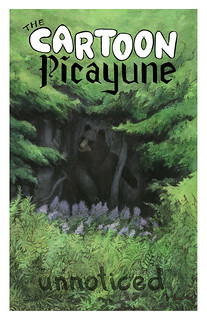 I, Josh Kramer, will be exhibiting for The Cartoon Picayune at the Small Press eXpo next month in White Flint, but I will not have a new issue there. Instead, I'm rolling out a new theme next week and then will take submissions for that. Oh, and you can also buy Issue #5, the Hard Work one in digital form from Comixology. Stay tuned!